Nourishing mint-infused shampoo for all hair types imparts incredible shine, bounce and volume. Formulated with invigorating peppermint. 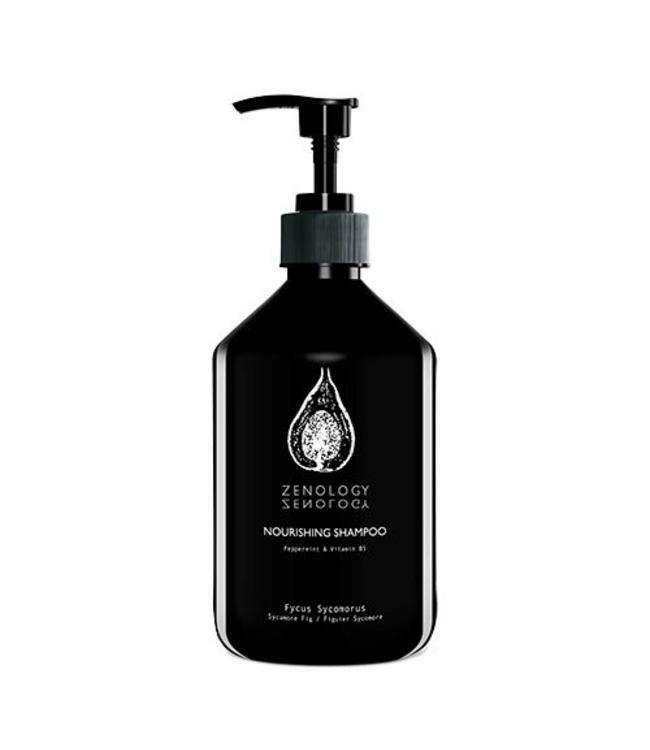 This super-lathering, energizing shampoo leaves hair and scalp clean, manageable and healthy. Calcium Pantothenate (Vitamin B5) the Moisturizer: the water-soluble salt of Pantothenic acid is converted into free vitamin B5. It maintains the moisture level of the hair, stimulates cell growth and tissue regeneration. Ingredients: Aqua, Cocamidopropyl Hydroxysultaine, Sodium Lauroyl Sarcosinate, Potassium Cocoyl Hydrolyzed Collagen, PEG-120 Methyl Glucose Dioleate, Acrylates Copolymer, Parfum, Aloe Barbadensis Leaf Extract, Phenoxyethanol, Guar Hydroxypropyltrimonium Chloride, Polyquaternium-10, Potassium Olivoyl PCA, Sodium Cocoyl Glycinate, Panthenyl Hydroxypropyl Steardimonium Chloride, Ethylhexylglycerin, Styrene/Acrylates Copolymer, Coumarin, Linalool, Panthenol, Citral, Butylphenyl Methylpropional, Alpha-Isomethyl Ionone, Hydrolyzed Wheat Protein, Glycerin, Sodium Benzoate, Potassium Sorbate, Citric Acid, Mentha Piperita Leaf Extract, Benzyl Alcohol, Sodium Hydroxide. Massage gently into wet scalp and rinse thoroughly. Repeat and follow with Zenology Vitalising Conditioner. This refreshing body wash provides a rich, creamy lather while gently cleansing the skin.